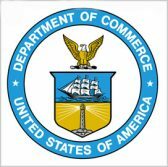 The Department of Commerce has posted a presolicitation notice in search of an enterprise-level system to address backup, archiving and recovery needs at two NATO data centers. The NATO Science and Technology Organization is calling for firms to bid for a possible award in support of its Center for Maritime Research and Experimentation, the department said Tuesday in a FedBizOpps notice. The selected contractor would deliver the required system, as well as provide installation, configuration, training, testing and transition support, for the organization’s data centers in La Spezia, Italy, and onboard the NATO research vessel Alliance. The centers use a VMware-based approach to the virtualization of data for infrastructure service. The government will nominate potential bidders that must first be qualified for NATO International Competitive Bidding. Responses to the presolicitation are due Oct. 3.